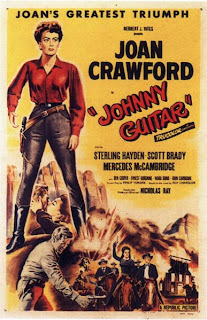 The Evening Class love fest with the Castro Theatre—celebrating its 85th—continues with Jonathan L. Knapp's sweet gem of a reminiscence. Jonathan contributes to the San Francisco Bay Guardian and has been publicity coordinator for several of the city's recent film festivals. In the most recent issue of the San Francisco Bay Guardian, Johnny Ray Huston called the Castro Theatre "the unofficial girlfriend of the city." Not wanting to shortchange the woman I actually conclude each night with, let me call the Castro my other girlfriend—a sanctuary for a boy who has an embarrassing connection to the Beach Boys' song "I Just Wasn't Made for These Times." Which moments do I most relish from our affair? There are, of course, many. 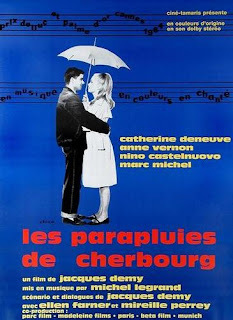 Opportunities to see beloved favorites as they were intended, vibrant and impossibly larger than life: The Umbrellas of Cherbourg, Johnny Guitar. 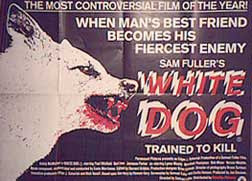 Obscure works from cherished directors (like Sam Fuller's insane anti-racist yarn White Dog). 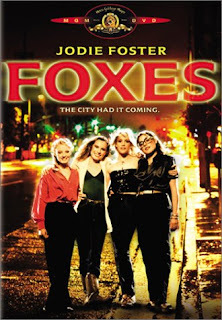 Forgotten gems I never would've thought about, such as Adrian Lyne's Foxes. In the past year, the Castro has becomes something else to me: my occasional office. Having recently leapt into film festival work, I've come to see another side of the theatre. I met Mink Stole on its mezzanine. I watched RuPaul emerge from a Pink Saturday crowd, her presence creating a wave of chaotic excitement that nearly smashed me against the theatre's entrance. But, perhaps most of all, I'll remember when I first experienced the theatre in its slumber. During a midday tour that Manager Bill Longen graciously gave to the Asian American Film Festival staff, I saw the Castro completely empty, all house lights up. Marveling at its massive, ornate ceiling—wrinkling with age—I fully felt the weight of its years. The city's girlfriend has witnessed great changes. But it abides. And, in a city like San Francisco, it flourishes. Miss Teen USA Gets A Second CHANCE! 2007 DEAD CHANNELS: JACK HILL ON….